In late December 2016, Ken Balcomb of the Center for Whale Research in Washington State announced that the world’s oldest-known killer whale had died. Granny, or J2 as she is known in the whale research community, had not been seen since mid-October and her absence from her close-knit community led researchers to declare her dead. She was estimated to be 105, extremely old for any mammal. Granny was the matriarch and most famous of the southern resident killer whales—an extended family of 78 whales in three pods: J, K, and L. In recent years, she was swimming in the lead of J pod virtually every time she was seen. The question of who will assume her leadership position holds more than just common interest: studies show that killer whale matriarchs play a crucial role in the cohesion and survival of their communities. “In killer whales, these old females are very important,” says Hal Whitehead, an expert in the study of whale cultures at Dalhousie University in Halifax, Nova Scotia. This complex social structure is also relatively unheard of. “To have these social systems where elderly, postmenopausal matriarchs have a vital role in the lives of their family members is very rare,” says Whitehead. Researchers believe it is the knowledge these long-lived individuals have acquired over a lifetime of experiences that enables them to lead their relatives through tough times. Today, for instance, the life skills of older whales are vital since the population of chinook salmon that makes up 80 percent of the diet of these endangered whales has dropped to 10 percent of historical numbers. Not only are postmenopausal female killer whales important as leaders, their presence is essential to middle-aged males. In a 2012 paper published in the journal Science, a team of international researchers used survival analysis to show that when a mother whale dies, the risk of mortality for her son increases three- to fourteenfold, depending on the son’s age, in the year following her death. (She bolsters his survival in a number of ways, including assisting in foraging and providing support during conflict.) Granny had no living offspring, but she was often seen in the company of a motherless 25-year-old male named L87, leaving researchers to wonder how her death will affect him as well as those in the rest of the pod that relied on her century’s worth of knowledge. On January 9, 2017, environmental groups filed a notice asking a US federal court to halt infrastructure projects on four lower Snake River dams in Washington State. A pending review could determine that the dams need to come out to help salmon. This, in turn, would help the killer whales that depend on them. Protecting the whales’ marine habitat from the onslaught of noise and disturbance from boat traffic is also key to the future of Granny’s descendants. On January 12, 2017, the US National Oceanic and Atmospheric Administration filed a request for public comments on a petition calling for a whale protection zone on the west side of Washington’s San Juan Island to minimize vessel impacts on the southern residents. Whether or not these actions were spurred by the outpouring of affection following the passing of the world’s oldest killer whale is uncertain. But taking tangible actions to return vital southern resident habitat would lend meaning to Granny’s life and her death. 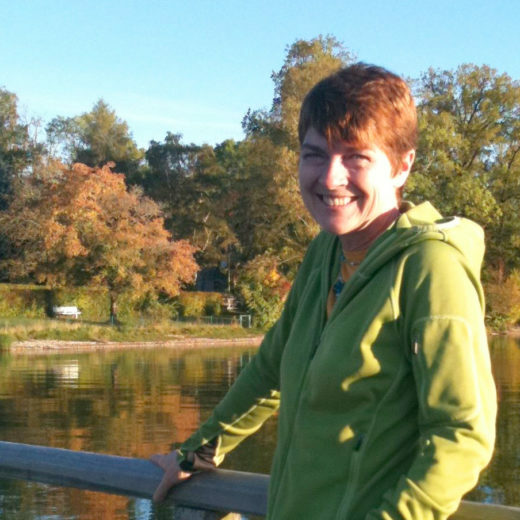 Elin Kelsey, PhD, is an award-winning author of environmental books for children and adults. She wrote the scientific brief that led former president George W. Bush to dedicate one of the world’s largest marine reserves, the Mariana Trench National Monument. Her research into hope, resilience, and the environment has garnered her fellowships with the Rockefeller Foundation, the Rachel Carson Center for Environment and Society, and the Cairns Institute. Cite this Article: Elin Kelsey “What Happens When an Endangered Whale Pod Loses its Wise Old Grandma?,” Hakai Magazine, Jan 25, 2017, accessed April 26th, 2019, https://www.hakaimagazine.com/news/what-happens-when-endangered-whale-pod-loses-its-wise-old-grandma/. Forget the engines: shore-based whale watching takes off.